Since we last reported on Skater Motorsport, right at the start of the season, the team’s Marcos LM500 has made several appearances, both in Britcar and British GTs, and given a good account of itself on each occasion. 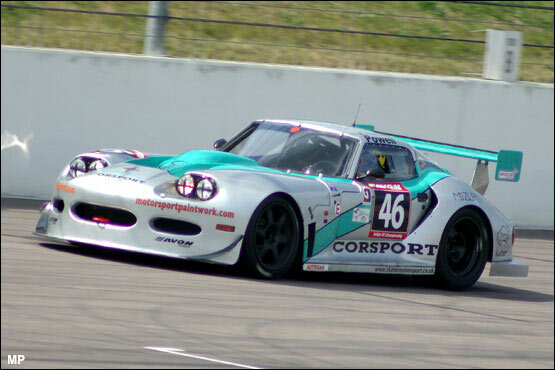 A podium was a distinct possibility in the car’s first appearance in Britcar, and the teal and silver Marcos also acquitted itself well enough during the recent Snetterton BGT race before being “taken out” in a pitlane misunderstanding. These promising runs were enough to reassure the team that they had a competitive car on their hands, if only they could iron out a few fundamental handling concerns, and raise the level of their game a few notches. To achieve that next step they’ve turned to a professional for help, and brought in the services of a driver who probably knows the Marcos marque as well, if not better, than anyone else; Thomas Erdos. The Brazilian, best known these days for partnering Mike Newton in the RML MG Lola EX264, twice LMP2 winners at Le Mans, cut his GT racing teeth at the wheel of a Marcos back in 1995. For nearly five years he drove very little else, and did much to raise the profile of the Wiltshire sportscar by achieving more with a Marcos than anyone else, certainly in the UK. 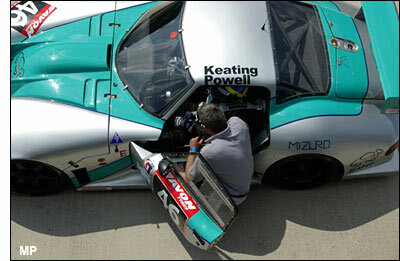 Poles in qualifying, lap records and a string of race wins came his way, but one of his most memorable achievements was when he made a guest appearance in the Millennium Motorsport LM500. 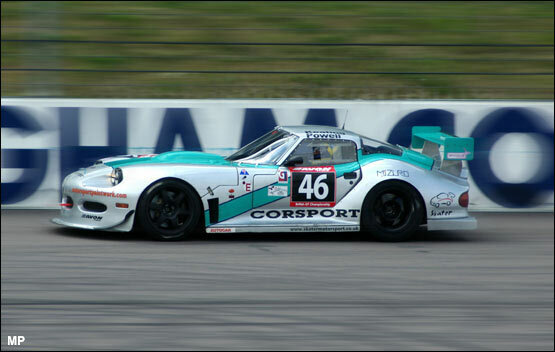 In those days the Marcos - the same car now being run by Skater - raced in GT3. The team was also managing a pair of the bigger LM600s that year, but Erdos out-qualified them both, as well as the rest of the entire GT2 grid. In that Silverstone race he went on to establish a new lap record that still stands, although that’s possibly because the old “National” circuit is rarely used, but it was still a worthy achievement none the less. Much of that is down to the attitude of Tim Close, the team manager, who’s determined that Skater is going to achieve some good results with the Marcos, despite the fact that this year started late and hasn’t got a lot left to run. It’s unlikely the Marcos will play a part in that future, however. “It’s a twelve-year-old car, and it’s serving us well, but we’re realistic enough to know that it’s not the car to take forward into another season,” conceded Close. The likely long-term destiny for the LM500 looks to be in a historic context, but as a Marcos enthusiast and collector, this particular car will probably stay in the Keating stable for some time to come. In the meantime, there’s the rest of this season to complete, starting at Rockingham this coming weekend. As one of the other track-day drivers commented, it’s good to see the Marcos running reliably at last. Ironic that this should come in the car’s twilight years, but fitting that Thomas Erdos should be on hand to bring the story full circle.